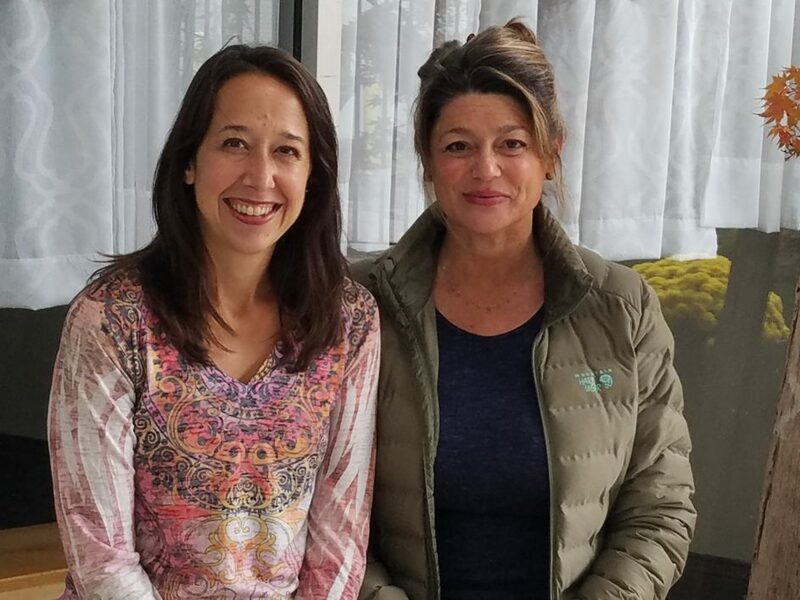 The yoga and massage empire of Patty Dougherty and Rebekah Knause stretches from one end of Bearden to the other. Opened four years ago, Breezeway Yoga, at 4830 Kingston Pike, occupies the breezeway at the east end of Knox Plaza. The spacious studio hosts a variety of classes, from gentle yoga and yoga basics to power yoga and practice that incorporates “acro” (flying) elements. There is also massage therapy, including Ashiatsu Oriental Bar Therapy, which uses the pressure of the feet instead of the hands. BalancedYou Studios, in its seventh year, is a smaller, homier studio at 6712 Kingston Pike, in the upstairs of the Newton Jones Insurance Building. There is yoga, Pilates, massage and more. “It lends itself to small, gentle therapeutic classes,” says Dougherty of the original studio. Either is a welcoming place for those who haven’t yet found yoga accessible, Dougherty says, a category she used to fit into. When yoga entered her life, she was immersed in a career as a writer and broadcast producer, having followed a freelance, high-pressured life from Knoxville (she is a Bearden native) to Chicago, then Palm Beach, then Los Angeles. A natural bundle of Type A energy, Dougherty first approached meditation to “gentle the internal dialogue,” she says. She began seriously studying yoga, with an eye toward instructing, and she assumed she would stay in L.A. to do so. To her surprise, she was homesick. She moved back to Knoxville in 2010 and has become a well-known local practitioner in the field. Knause took her first yoga class when she was a young mom trying to reclaim some time for herself. The practice, she said, “…was so hard, but I wanted to do it more.” A native of Jackson, Knause moved to Knoxville in 2001 from Memphis, where she had had a stressful corporate sales job. She tried a program in massage therapy, discovering she had a profound gift for it. Now she has expanded to acupuncture, having recently graduated from the Jung Tao School of Chinese Medicine to become a licensed practitioner this fall. The studios also host special services, including Ayurvedic consultations with an experienced practitioner, and special events, including group meditations. The annual artist-focused Soul of Creativity event, which just wrapped up earlier this month, raises funds for East Tennessee Children’s Hospital’s palliative care program. With a stable of almost two dozen instructors, massage therapists and others who work with Dougherty and Knause, the two hold a true community within the two-mile stretch between their studios.